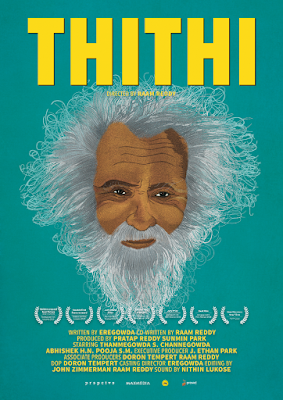 Thithi Film Review - Realistic and Philosophical! What Thithi is about? 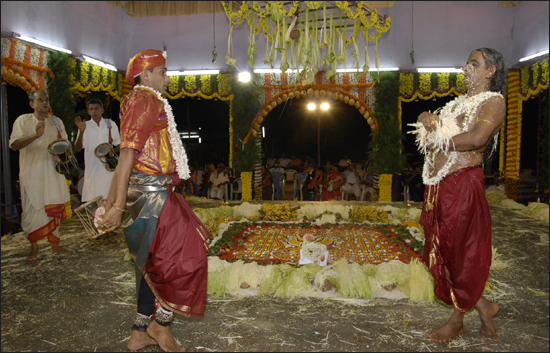 Thithi in Kannada means final rites. It is a brilliant story spanning 11 days from the death of a patriarch to his grand last rites ceremony on the 11th day. How three generations of the man, popularly known as Century Gowda (a centenarian), gear up for his final ceremony form the crux of the film. Realistic Depiction: First thing, which strikes you in Thithi is the realistic depiction of rural background in Mandya, Karnataka. This is much in the same light as in the recent Kannada film - Kiragoorina Gayyaligalu. If you are new to this, definitely you would feel it exotic. This is one major reason, why it has thrilled movie buffs all over. Even the characters, their motives and the way of life look so natural on screen. To top it all, most of them are not professional actors! How can this go unnoticed in the world of cinema? Humor: Raam Reddy cleverly employs humor in major part of the film. Sarcasm, innocence, aloofness, dilemmas – displayed by a plethora of characters evokes laughter. In some scenes, one can also observe the actors with a grin, apparently conscious of the camera! Cultural Sensitivities: When I was new to Bengaluru, I was surprised to see people dancing during a funeral procession. I hail from coastal Karnataka, where such a thing is unheard of. So, it was a culture shock for me then. Later, I came to know that it is their way of expressing love for the departed soul. So, if you see men dancing with the loud music played by a band of men during the funeral procession in the movie, don’t be surprised. Also, the dialects of Kannada used here are from two distinct regions of Karnataka – the northern part and the old Mysore region. People from these two regions in the movie, have two different ways of life – one group being nomadic and the others being village dwellers. Yet, they get intertwined seamlessly in the story. Philosophical: Philosophical overtones in the entire film can be easily noticed. Everyone has their own reasons to act in a particular way. Everything in life is ephemeral, said the men of East. Men of modern West have advocated pursuit of happiness or rather pleasure in life. Interestingly, both contrasting views on life coexist in Thithi! Whether you should watch the movie: Frankly speaking, Thithi is not everyone’s cup of tea with its raw depiction of reality. If you like watching artistic movies without batting an eyelid, it is definitely the film for you. 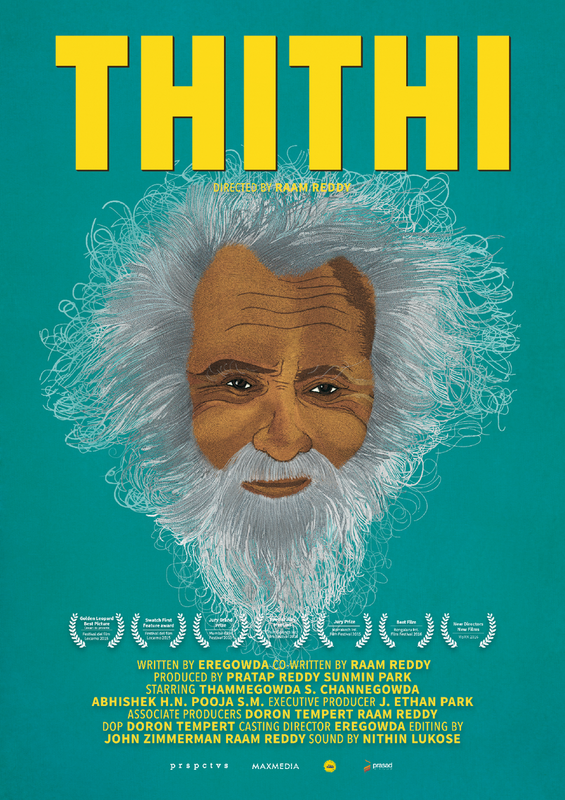 Also, Thithi stands out as it is fast paced and has a intriguing plot! Thanks a lot for the compliments Lakshmikanth! That's right Manju. The film is definitely for you to watch! Thanks Shridhar, Did you watch the movie?